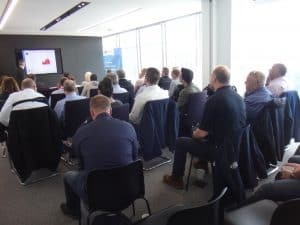 Find out everything you need to know about the FORS Standard version 5 at our free-to-attend FORS Members’ Regional Briefings taking place throughout the UK this month. This series of briefings focuses on the recently published FORS Standard version 5, which will be implemented from 14 January 2019. Over 80 members were present at the briefings held in Birmingham, Bristol and London last week. Attending the briefings provides members with an opportunity to learn more about the specific updates to the requirements and why they have been made, as well as enable members to ask any questions and to engage with fellow FORS members. FORS is also holding a special FORS Standard version 5 briefing exclusively aimed at FORS Associates and pre-auditors. For more information about the briefing and cost to attend, click here.